What are the Best Places to Hide Money at Home? Storing money around the home for emergencies can be useful in a pinch, but in the event of a burglary, fire, or flood, keeping it in the wrong place can be very costly. We’ve spoken to our security experts, and pulled together some recommendations for how you can keep money to hand, whilst keeping it safe. Hiding money in obvious places such as kitchen and bedside drawers or under the mattress are the first places that people will look. Therefore, if you’ve got some cash to hide it is important to stay one step ahead by following our money storing tips below. What are the best hiding places for small amounts of money? Empty tin cans and paint tins can be used to store money and other small items and can look pretty inconspicuous when left on a shelf or in a cupboard. If using a food can, open the tin from the bottom so that the ring pull is still visible on top. It’s quite an old fashion trick but hollowing out an old book and placing on a book shelf with cash stored inside is a good way of hiding money. Placing cash inside a CD or DVD case which is placed on a shelf would also look inconspicuous. Place cash inside an envelope and tape it to the underside of a drawer. Burying a box in the garden is a great way to keep your treasure hidden. Make sure any cash is placed in waterproof bags and make sure that you remember where you’ve buried the box! A less conventional way but somewhere hidden is underneath a bathtub. On most bath tubs there are removable plastic panels on the sides. Obviously, if hiding money, it is a good idea to make sure that notes are secured in waterproof bags. A cash box is a traditional way of keeping cash safe and organised. Under lock and key, it is certainly more secure than if the cash was just lying there. We’ve previously found out from BBC’s Beat the burglar that the attic is the least likely place a burglar will look as they will not want to risk getting stuck and blocking their escape route. Therefore the loft is one of the safest places in the home to store cash. Where to store large amounts of money? The best way of keeping cash safe and out of unwanted hands is to lock it up securely. Any real amount of cash that you’re not willing to lose could be secured in a safe which is correctly installed. When choosing the right safe, make sure the safes insurance cash rating is representative of the amount of money you wish to store inside. 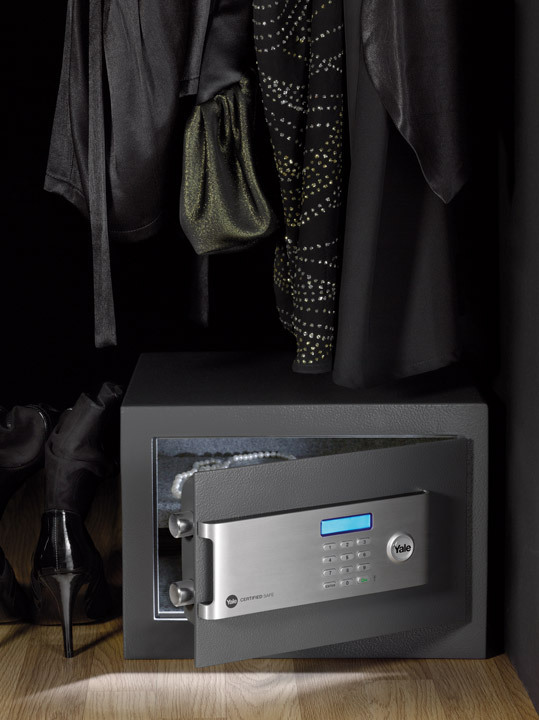 The safes cash rating is a good indicator of its strength and build quality. Before installing your safe you’ll need to pick the right place to bolt it down. You should choose somewhere that’s not obvious to an opportunist but also somewhere where you can access the safe easily such as a cupboard or wardrobe. It’s best to install to a concrete floor or brick wall, and out of sight. Keeping your money in a drawer with a lock will also keep it secure. Although not as secure as a safe, anything which requires a key to open will cause problems for and opportunist. If you intend to store cash in one of our recommended hidden locations, you may find it useful to hide cash in more than one place, just in case your secret location is found. In the even that one of your hidden locations is found out, you will always have a back up. Are our Christmas Presents at Risk of Burglary?